Yesterday, our Mail Division Manager, Lee Oliverio, attended US Rep. Martha McSally and Tucson Vice Mayor Richard Fimbres’ roundtable discussion about the Cherrybell Post Office mail processing closure and the impact on Tucson and its surrounding communities. Representing Spectrum Printing Company’s clients in Tucson and Southern Arizona, Oliverio stood up and mentioned an important part of the USPS consolidation—the loss of the SCF discount for nonprofits and standard mail (when mailing to an 856- or 857- zip code entered at the Tucson station currently saving 4.4 cents per mail piece). This discount is scheduled to be eliminated coinciding with the closure sometime in the next couple of months. “I want to represent my clients and especially my nonprofit clients who stand to lose this discount for each piece of mail. Whether they are mailing 1,000; 10,000; or 100,000 pieces, that makes a huge negative impact,” she said. Nonprofits tend to make frequent and consistent mailings for APPEALS, so these are not just one-time mailing increases. This would have a profound impact on their budgets with a potential negative impact on their net donor revenue. Those who use a MAILING SERVICE provider like Spectrum Printing Company, are at an advantage because they can be helped to recoup costs in other areas. On the other hand, smaller start-ups who tend to do everything themselves and may not have the resources to help them, will be impacted even more. US Rep. McSally thanked Oliverio for bringing up this topic and said she’s seeking real live stories that she can take to Washington with her. She said it’s not enough to tell them it’s hurting Tucson, but to show them how it’s impacting specific groups. • Businesses – Many business owners and representatives from the local chambers were present who listed their concerns, such as being able to attract other businesses to Tucson. They talked about disliking that their mail has a Phoenix stamp on it when they’re trying to set Tucson apart from Phoenix and other areas, which they believe reinforces in their mind that Tucson and Phoenix are the same—lumped together as one destination area. Someone joked about how soon it will be before USPS starts using the Sun Devil as the cancellation mark. • Veterans – A roundtable discussion attendee in his 80’s mentioned he relies on getting his VA medications on a timely basis. • Property Owners – Another concerned citizen said he receives his rent checks late from tenants. He relies on these checks to pay his property mortgage on time. He believes this makes Tucson look unstable, and will detract more businesses from moving here. • Seniors – One mentioned a concern over Tucson having a high elderly population, with lower computer usage. So rather than paying their bills online, they rely on submitting payments in the mail, causing late payment fees and other issues. • Voters – Some expressed concern over ballots not counting with mail-in voting procedures. July 11, 2015 is marked as the Tucson Cherrybell station closing date, with no word yet as to how official this date actually is. 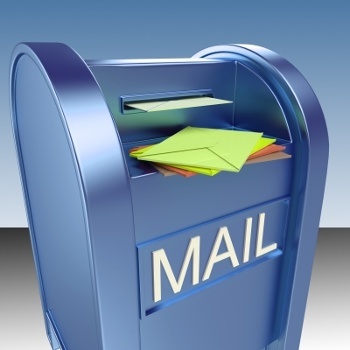 Bulk mail would still be accepted, but mail processing would no longer take place entirely. Changes since January 5 include eliminating overnight delivery of First-class mail, no longer showing a 1-day turn-around. Tucson mail sent to another location in Tucson is sent to Phoenix first, increasing delivery turn-around. USPS officials indicated the impact would be mail delivery changes from 1-2 days to 1-3 days standard delivery standard, yet the actual impact felt in the Tucson region has been up to a 5-day mail delivery delay. Some even claim a 7-9 day delay. US Rep. McSally continues gathering arguments from the Tucson community to take to Washington in support of continuing the facilities at the Cherrybell station. She invited those who signed-in and attended yesterday’s meeting to take a survey providing more feedback. “We may have to focus on winning the small battles first in order to win the war,” she said, overall referring to keeping the Tucson mail processing office open. Preferably, send a hard-copy of your letter by mail!